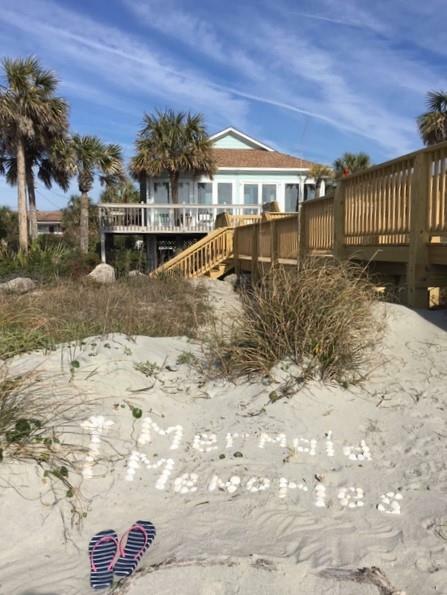 Welcome to Mermaid Memories on Folly Beach! 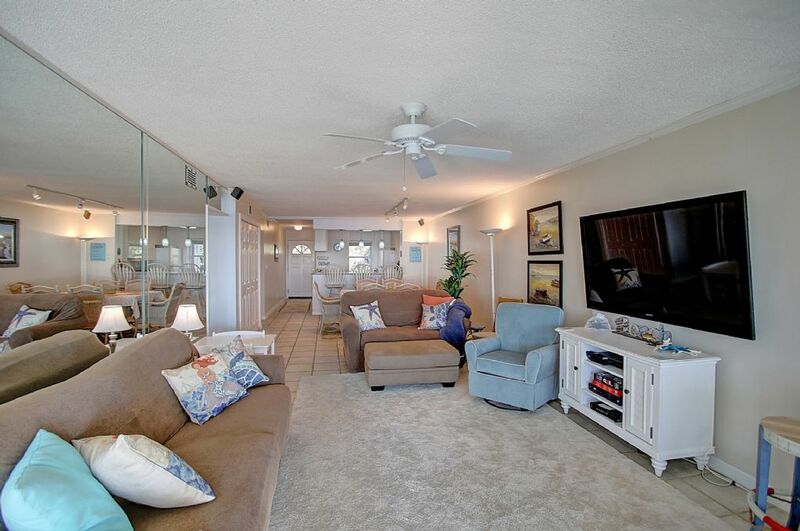 This fantastic 2 bedroom 2 bath oceanfront beach home has just been completely renovated. 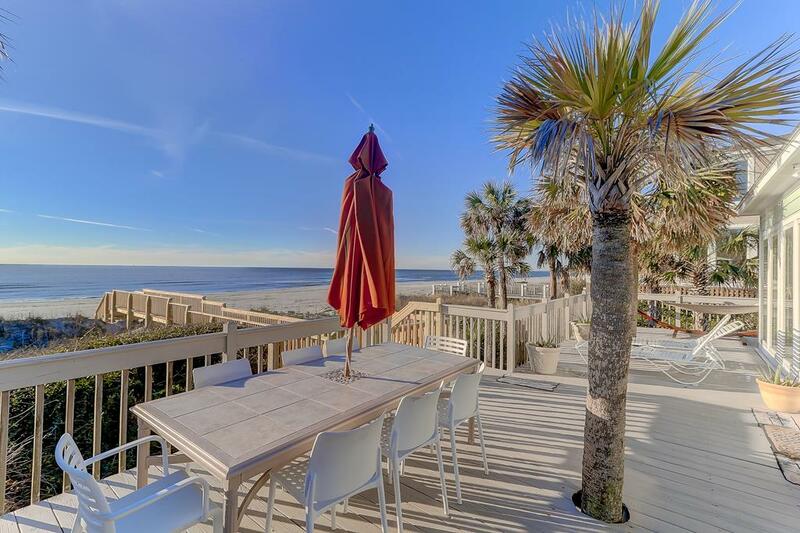 Located on Folly's private West end of the island is the perfect spot for the family summer vacation or long weekend getaway. 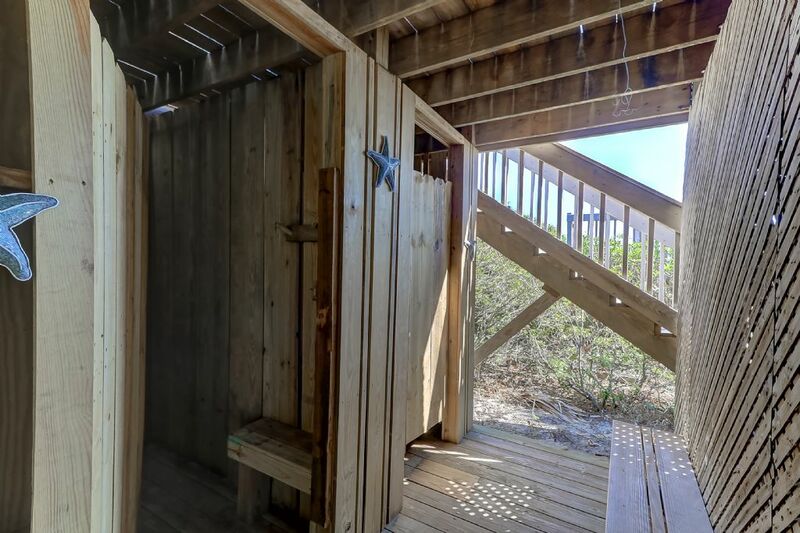 Nature is abound at this end of the island with dolphin "beaching" encounters as they chase their prey at the county park as well as the chance to witness nesting loggerhead turtles first hand. 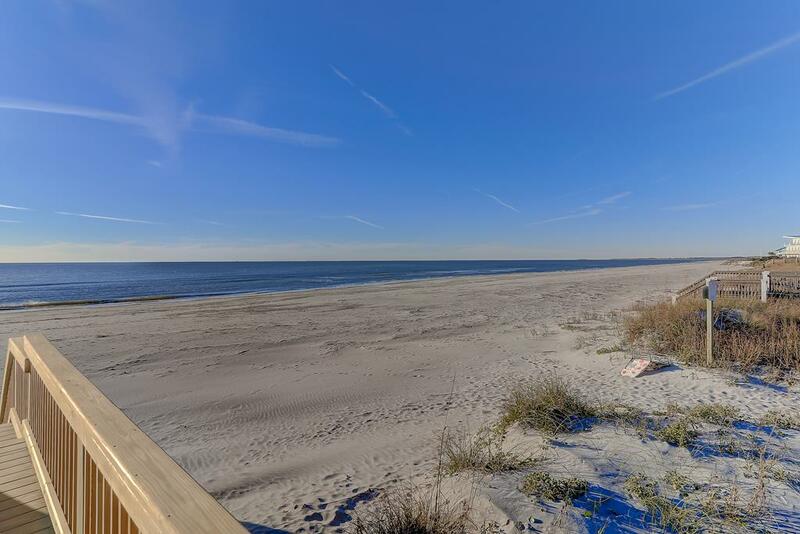 The owners have spared no expense in turning the home into a upgraded modern beach home while preserving the feel of a classic beach cottage. 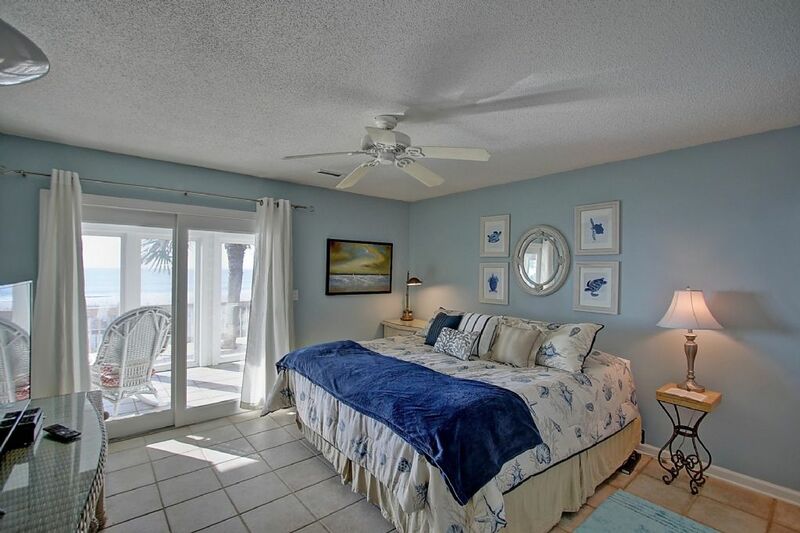 Ocean views from almost every room in the house will provide the perfect backdrop for a perfect vacation. 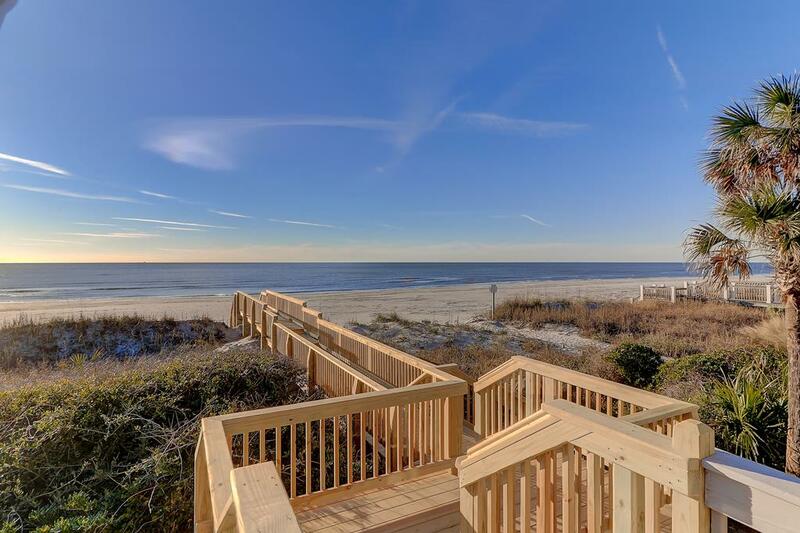 Upon entering the home you will appreciate the open floor plan with ocean views around every corner. 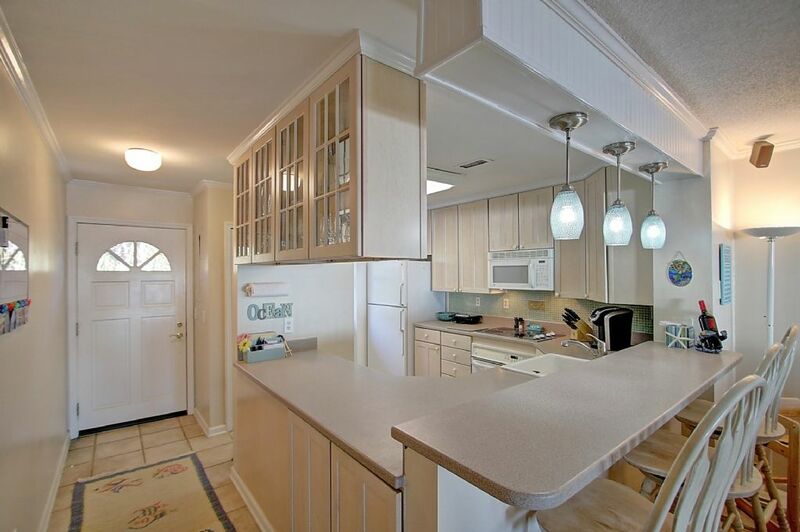 The kitchen includes all of the modern conveniences of home and has been stocked with all of the amenities even the most discerning family chef would require including Ninja blender, panini maker, waffle maker and Keurig coffee maker! Breakfast bar overlooks the dining area and living room area and provides a seamless transition from one gathering spot to the next. 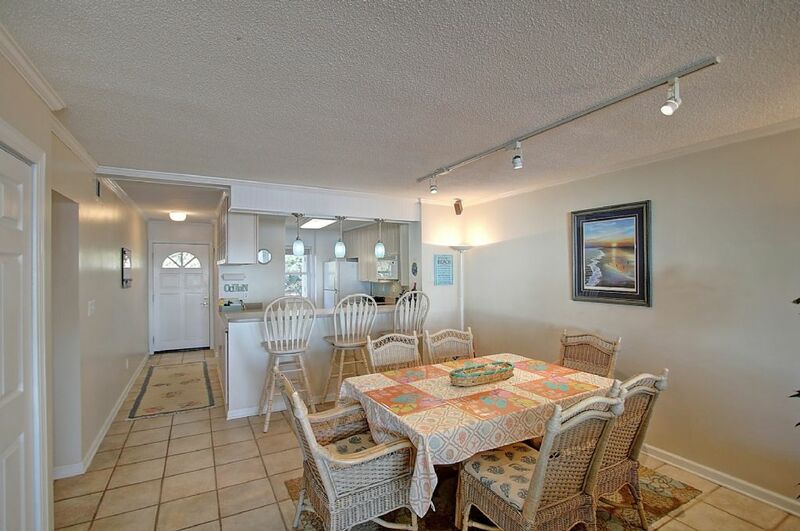 The dining room includes large dining table for the family to gather after a long day on the beach as well as a kids table. Living room features large flat-screen TV for the rare rainy day and large comfy couches to relax on after a long day in the sun. 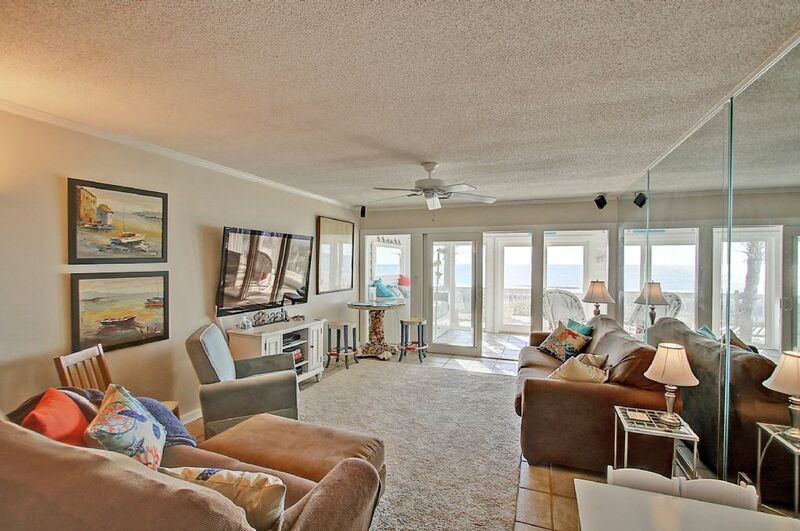 The oceanfront sunroom is the favorite room in the house and is only separate from the living area by large sliding glass doors. 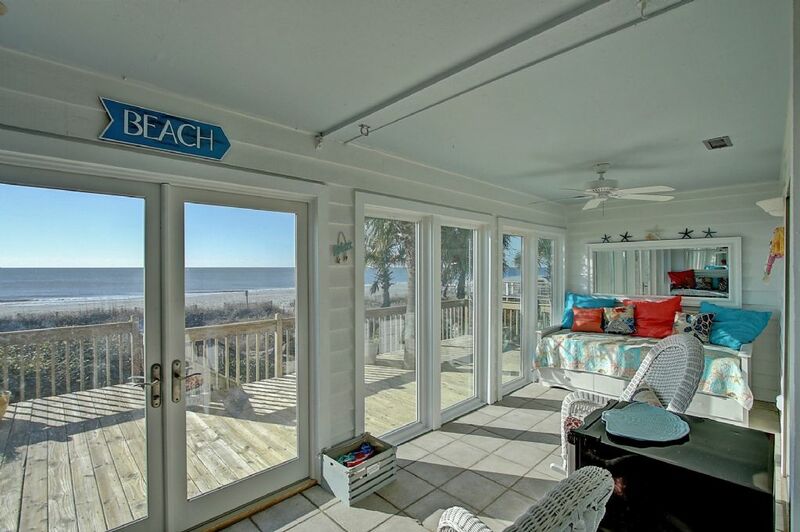 The sunroom has fantastic ocean views and includes 2 twin day beds perfect for a late afternoon nap or spot to catch up on your favorite book. 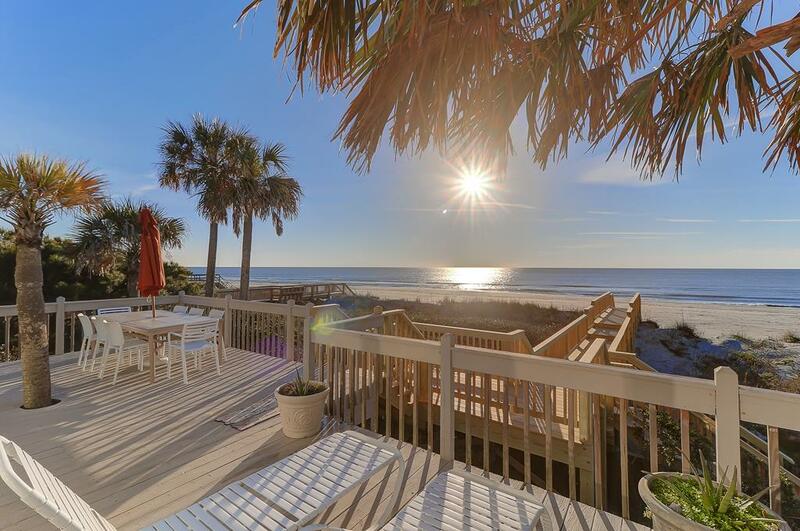 The sunroom provides oceanfront porch access where 2 large palm trees provide natural shade that remind you why you came on vacation in the first place. 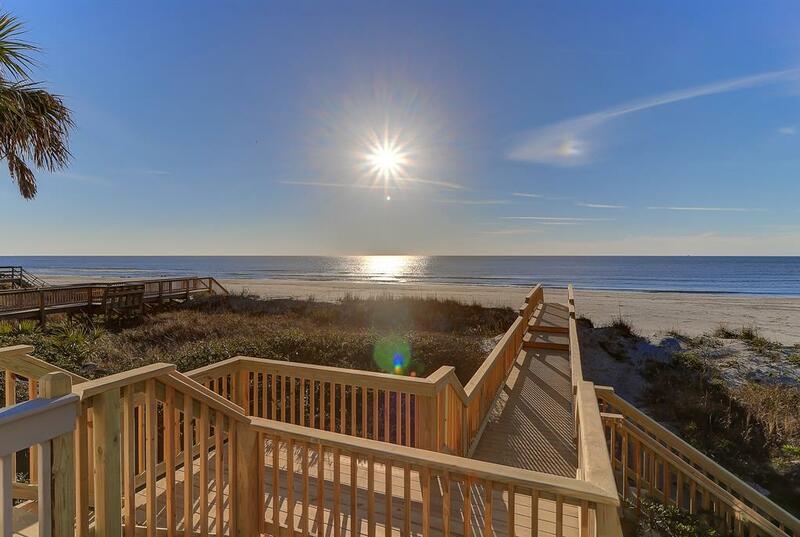 Numerous outdoor seating options provided on the oceanfront deck will allow everyone to have the best seat in the house for the stunning Folly sunrises and sunsets over the Atlantic. 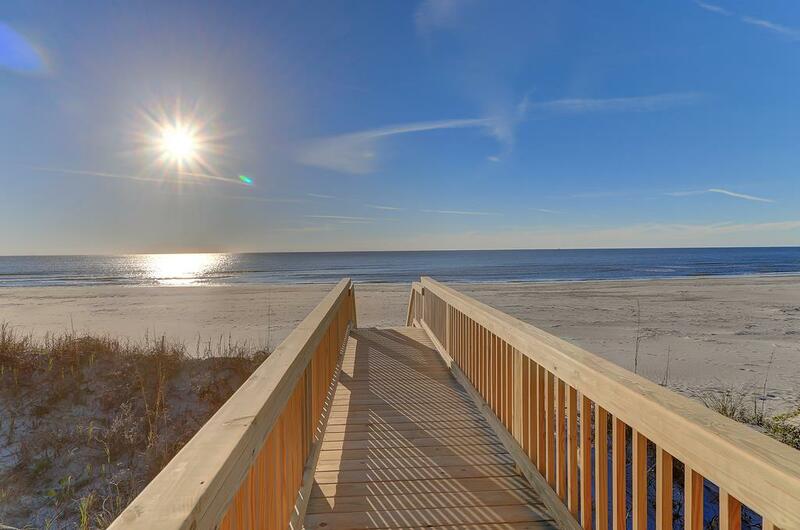 Oceanfront deck connects to the boardwalk, leading you straight onto the beach. 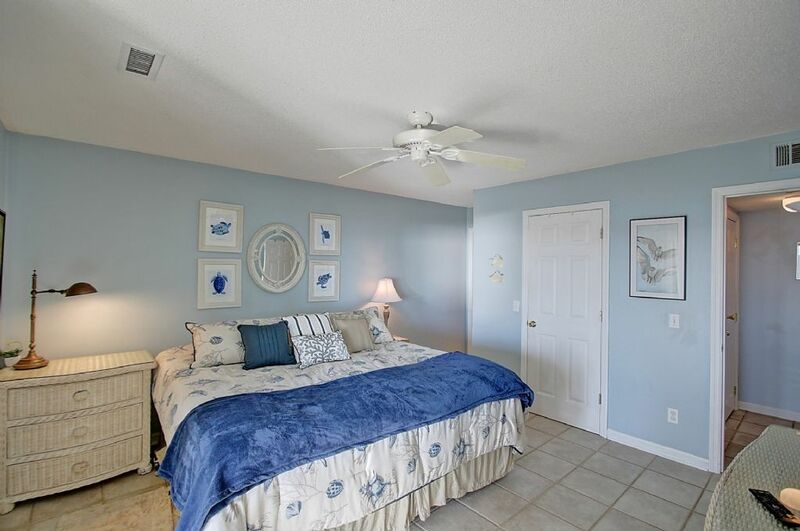 The two bedrooms both have new bedding and new high grade linens. The master includes king-size bed and private access to the sun-room. 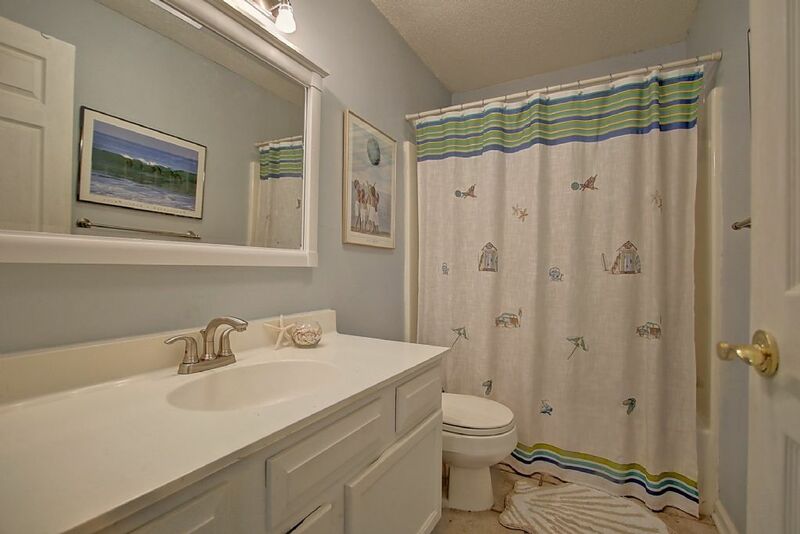 Master has attached master bath for the head of the family. 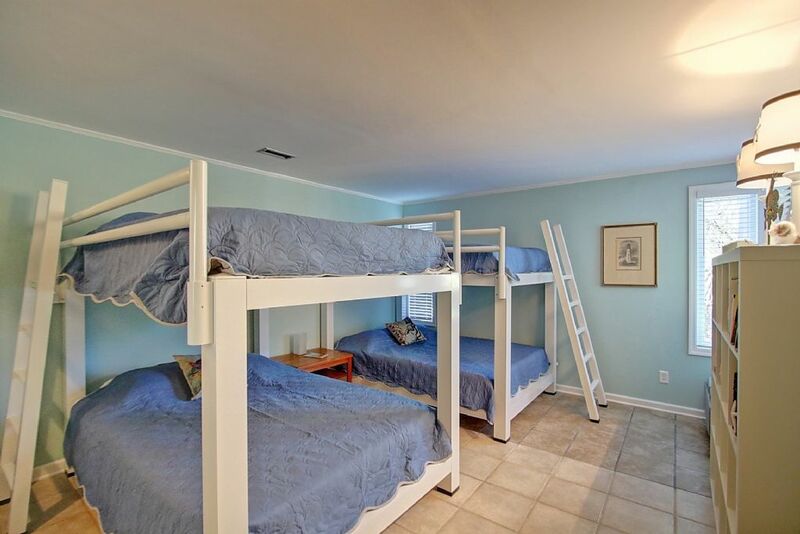 The second bedroom includes two new bunk bed set up with both the top and bottom bunk housing queen size beds. 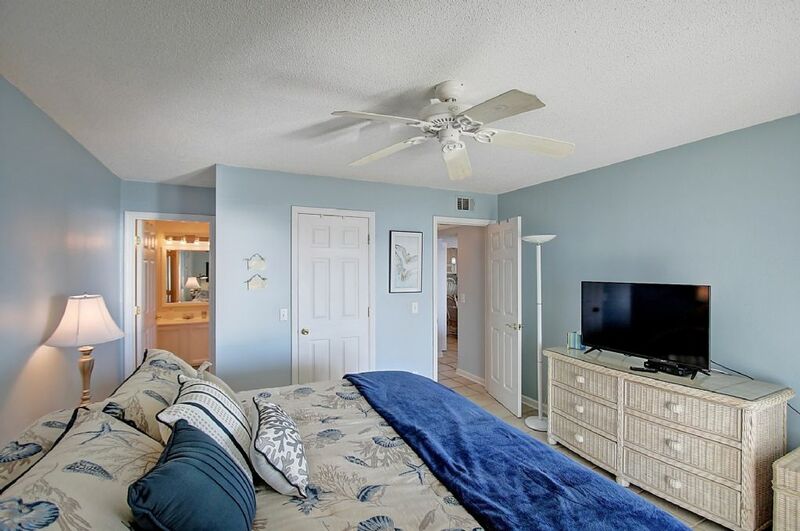 Second bedroom has close access to full bathroom off hallway connecting the bedroom and living area. The home comfortably sleeps a total of 10 with 2 in the master, 8 in the second bedroom and then 2 extra spots on the day beds in the sun-room, pull-out sofa in living area could be additional accommodations. 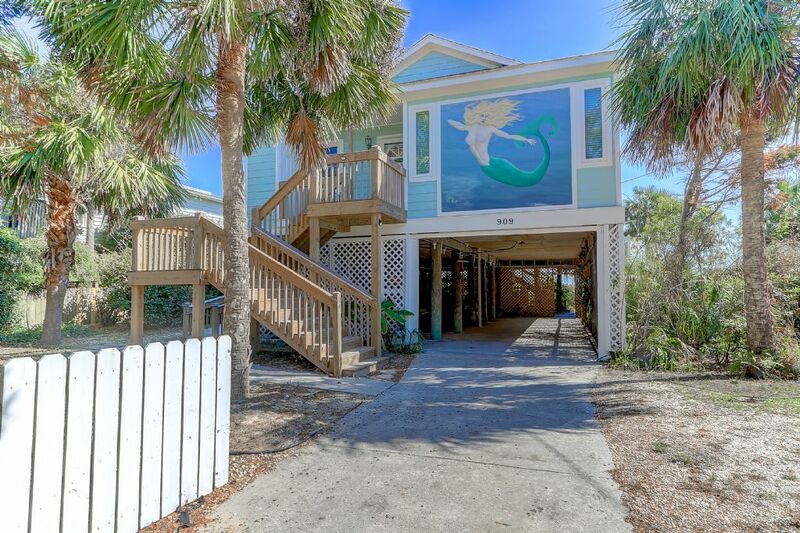 Mermaid Memories includes all of the modern conveniences you would expect in a high-end rental. 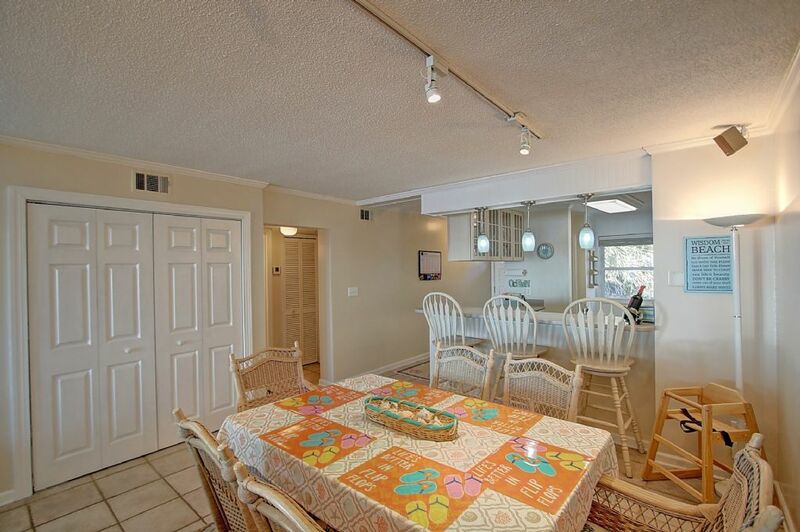 High efficiency washer and dryer, dishwasher, HD TV's in living room and master as well as high-speed WiFi. 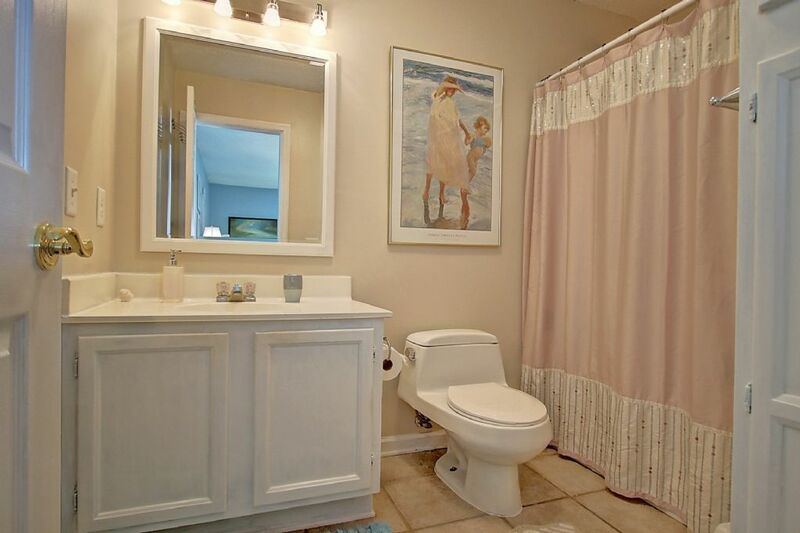 The home is very child friendly with step stool in bathroom, child’s table with two chairs and bench, pack n/play, and restaurant style wood high chair. 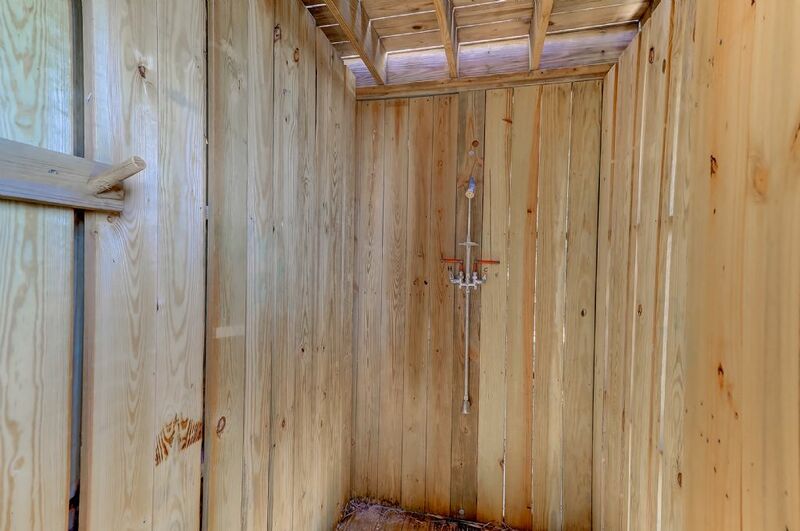 Home also features an outdoor shower underneath the home, as well as a shower rinse off on the boardwalk. Home is strictly not pet-friendly and non-smoking. NO events allowed that exceed the maximum occupancy of the home. Must be 25 years old or older to rent. Please call Carolina One at 843-588-1212 with any additional questions.